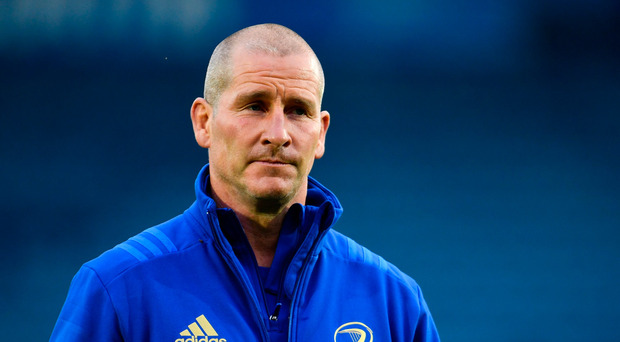 Leinster centre Rory O'Loughlin has opened up on the impact Stuart Lancaster has had on the team since arriving in 2016, saying that the senior coach has helped 're-establish the culture' at the province. Both Lancaster and Leinster were going through a transition period when head coach Leo Cullen drafted in the Englishman as his number two early in the 2016/17 campaign, with the team going two seasons without a trophy while Lancaster was trying to salvage his career after the disastrous 2015 World Cup with England. Leinster's form quickly shot up as the team set the record for most tries in a league season and although Leinster lost in the semi-finals of both the PRO12 and Champions Cup at the end of Lancaster's first campaign, the province won both tournaments last season. O'Loughlin is one of many young players who has grown since Lancaster came to Leinster and speaking on The Left Wing, Independent.ie's rugby podcast, he explained the influence that the senior coach has had on his development. "Personally, he has probably had the biggest impact on me that any coach has had in my career," O'Loughlin said. "When he came in first, he put a massive emphasis on building the character of the players. I wouldn't have been the loudest one in the room by any stretch of the imagination. I found him very good for me. "I made my debut for Leinster the week before he came in and I got my first start two weeks later. The week of that game I sat down with him and he said 'I want you to say something in this team meeting, or in the huddle, in front of the whole team'. I had never done this before or anything like this and I was like, 'Jesus, I'm not comfortable with this' but that helps you break down the barrier of being intimidated by the players you are playing and training with it." "Through that whole season he would have kept telling me what I was doing well and what I needed to get better at but the main thing was him making me talk more amongst the squad and be more of a voice. If you are a 13 you need to be one of the most vocal in defence. That is the benefit he brought to me." O'Loughlin added that Lancaster has been great at tapping into Leinster's history to build squad morale. "It's not that he tried to create a culture amongst the squad but he helped re-establish the culture that was already there," O'Loughlin said. "I remember before we played Munster, he had a meeting about how many people were born in Leinster in the squad and how many times certain people had played for Leinster and just showed us how unique a place it is. He helped us see how unique that was and become more of a united squad." Independent.ie Newsdesk On this week's episode of The Left Wing, Will Slattery and Luke Fitzgerald are joined by Munster and Ireland legend Denis Leamy to preview the Champions Cup semi-finals. Independent.ie Newsdesk Ireland Sevens qualify for the World Series, the PRO14 reaches the business end as the Champions Cup looms on the horizon again.